President Dr. Arif Alvi has said that it is the duty of Government to provide smooth trade facilities to traders as the trade community is playing its key role for the development of the country. 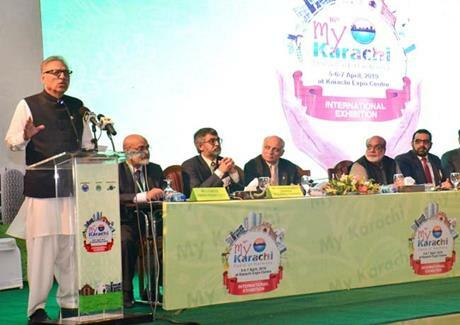 Addressing the launching ceremony of My Karachi Exhibition organized by Karachi Chamber of Commerce and Industry today, the President said that the development of Karachi is the development of the country and security situation of the country has now improved. He said that incumbent government will fulfill its promises, which it had announced before the election. The President said that he is personally active to address the issues of Metropolitan City. He added that it is duty of the state to enforce equal education system in the country.